The Client – The person(s) entering into the booking agreement or a third party acting on their behalf. The Booking Agreement – Document provided to the client either in the form of a booking form with services itemised, or a written quotation. 1.1 The Company will provide the services and/or equipment specified on the booking agreement provided to the client. 1.2 The Company will install & remove equipment within the timescales specified on the booking agreement. It is the client’s responsibility to ensure access to the venue and setup area is available during these times. 1.3 It is the client’s responsibility to ensure the venue booked has adequate space available to set-up and load in equipment safely. We must be made aware of any difficulties such as sets of stairs or long walkways to carry equipment along. Failure to inform us of difficulties may mean we are physically unable to load equipment into your venue, without additional staff. In this instance, no refund will be made. 1.4 In the event of structural, physical or technical deficiencies in a venue or its electrical supply spoiling the operation of the equipment, the company will not be held responsible and no refund will be given. 1.5 The Client will provide access to a reliable, safe and a properly earthed single phase 240 Volt mains electricity supply with the adequate power required for the job that is booked – if unsure please enquire for the kW usage on your project. All electrics should use a suitably rated and protected supply circuit that complies with the current I.E.E. wiring regulations. Should the electrical supply be deemed to be unsafe by the company the responsibility and costs of fault rectification lies solely with the Client. For larger scale events, additional power may be required, which will be specified on the booking agreement. 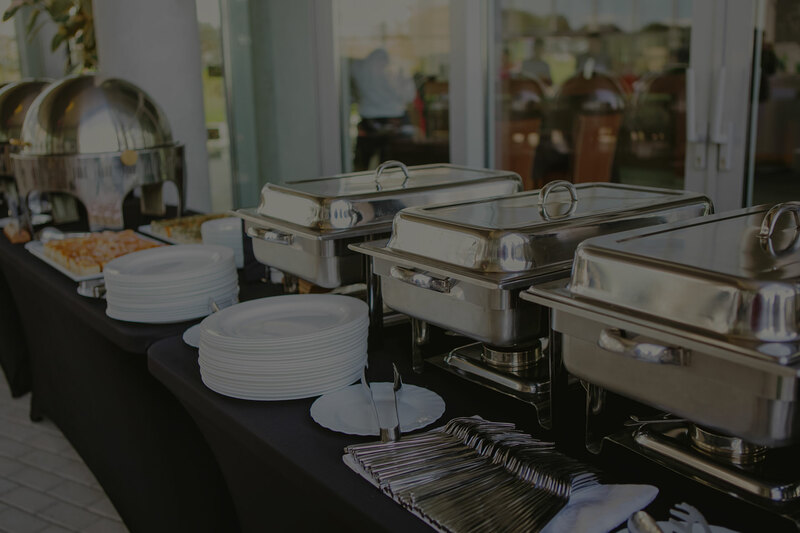 1.6 The Client will provide adequate supervision of all guests and/or customers and/or staff at the venue and will be liable for any theft or damage to the company equipment caused by said guests, customers, staff or the Client’s nominated users of the equipment. The company reserve the right to terminate their services at any point should we feel that our personal safety or equipment is at risk. 1.7 To confirm a booking a booking form is required to be completed via our online booking system. Completion of the booking form is deemed as signing our contract and accepting these terms and conditions. Private customers are required to pay 20% booking fee at time of booking to secure their date. Credit account customers are required to pay a 20% booking fee which forms part of their total invoice, which is to be paid within strictly 30 days of work completed. 1.8 Private customers are required to pay the remaining balance due no later than 30 days prior to the date the service is to be provided. If payment is not made, then at the discretion of The Company, our services may be withdrawn and cancellation charges will apply (See Term 1.11). 1.10 Credit accounts are to be paid strictly within 30 days. For payments over 30 days late, interest of 8% above base rate will be added at The Company’s discretion. Notice given more than 120 days prior to event – None of remaining balance due for private customers – credit accounts are required to pay 20% booking fee on cancellation. Notice given 120-91 days prior to event – 25% of remaining balance due for private customers – credit accounts are required to pay 20% booking fee plus 25% remaining balance on cancellation. Notice given 90-61 days prior to event – 50% of remaining balance due for private customers – credit accounts are required to pay 20% booking fee plus 50% remaining balance on cancellation. Notice given 60-31 days prior to event – 75% of remaining balance due for private customers – credit accounts are required to pay 20% booking fee plus 75% remaining balance on cancellation. Notice given less than 30 days prior to event – 100% of remaining balance due for private customers and credit account are required to pay invoice in full (20% booking fee plus 80% remaining balance). 1.12 Any cancelled services or part of services of a total invoice will lose a 20% booking fee for this item and cancellations will be charged for this item at the same percentages as Term 1.11 if cancelled at the timescales. 1.13 In the event of the company failing to provide the services agreed, the company shall be liable to compensate the Client up to an amount not exceeding the invoice total. 1.14 Whilst the company will use its best endeavours to attend at the function and provide a satisfactory service, should the company be prevented from doing so for any reason outside its control (including mechanical breakdown, equipment failure, sickness, adverse weather conditions, civil unrest or war) the company shall not incur any liability for its non-fulfilment provided the Client is informed at the earliest opportunity. The Client is advised to take out event insurance to cover this. 1.15 Some of our products contain nuts and nut products or may have been produced in an environment where these ingredients are used in other products. All other allergens are available upon request. We are required to be notified at time of booking of any allergens or dietary requirements as when on location allergen records and packaging may not be available as well as alternative food options. 1.16 All items are subject to availability and where it is unavoidable suitable substitutions will be made. 1.17 If in the unlikely event you feel that our service was not to the standard you were expecting complaints need to be made in writing to the company address within 14 days of your event date. 1.18 A fee of £50.00 will be charged for any returned cheques, to cover our bank charges. 1.19 All advertised prices exclude VAT at the current UK rate, unless otherwise stated. 2.1 All beverages are to be supplied strictly by the Company. Any pre-authorised self service drinks are required to complete a form detailing authorised drinks being provided by the Client. 2.2 The Company reserves the right to either withdraw our services or make an additional charge to cover our reasonable costs or losses in revenue if guests are found to be providing their own beverages. 2.3 Anyone providing pre-authorised beverages are required to hire glassware through the Company or pay a corkage fee. 2.4 The Company shall be the sole provider of all beverages at the event unless previously agreed in writing. It will not be permitted for anyone to consume their own drinks at the event. 2.5 Bar opening times will be subject to approval by the relevant authorities. 2.6 The client shall ensure at least 4 x 13amp power supplies at or near to the bar location. 2.7 The client shall ensure sufficient time is available to access the venue prior to the start of the event to unload and prepare equipment and stock. The Client shall also ensure sufficient time between the closing of the bar and having to vacate the venue to enable all goods and equipment to be dismantled, removed and loaded into waiting vehicles. No alcohol will be sold to anyone under the age of 18, or who appears to be so and cannot prove otherwise. If your event includes guests around the age of 18, please ask them to bring ID. It is an offence to sell or supply alcohol to anyone under the age of 18. If we suspect that anyone is doing so, service from that person will be withdrawn. If we see anyone we know to be underage drinking alcohol that has been purchased from us, we confiscate the drink or ask you to do so. We will not serve anyone who is excessively drunk, or who is abusive or threatening to staff or other customers or guests. 2.9 All drinks are paid for as sold on the night, with the exception of prepaid drinks packages or prepaid free bars. We do not offer credit or credit card facilities and will not run a tab type bar unless monies have been paid prior to the event or an agreement has been drawn up. 3.1 A secure parking spot for the Company’s vehicles should be made available next to the venue access point to ensure availability of additional stock and to facilitate easy loading and unloading. Our standard rate covers a hire period of 24 hours only. Additional days will be charged out at our extra day rate. Long term hire by quotation. Losses, breakages or damage will be charged at current purchase cost price. Crockery and glassware returned chipped will be charged as broken. No substitute items will be accepted under any circumstances. Plastic cartons, crates & box inserts will be charged for if damaged or lost including damage caused by wet/dampness. Pay to the Supplier the new replacement cost for any Hire Goods. In the event of a breakdown or unsatisfactory working of hired equipment, the Company should be notified of the fault. No attempt should be made to repair the equipment unless express permission is granted by the Company. Risk in the Goods will pass immediately to the Customer when they leave the physical possession or control of the Company. Risk in the Hire Goods will not pass back to the Supplier from the Customer until the Hire Goods are back in the physical possession of the Company. This shall apply even if the Supplier has agreed to cease charging the Rental. Ownership of the Hire Goods remains at all times with the Supplier. The Customer has no right, title or interest in the Hire Goods except that they are hired to the Customer. Ownership of any Sale Goods remains with the Supplier until all monies payable to the Supplier by the Customer for the Sale Goods have been paid in full. The Company reserve the right to change any price without need to give prior notice. Queries on goods received must be notified immediately. If the hirer has any cause for complaint concerning the conditions, suitability or performance of equipment hired, the Company should be notified immediately. No consideration for redress will be given to a grievance once the equipment has been used. The Customer shall remain responsible and liable for any loss, damage or theft to the Hire Goods until the Hire Goods are collected by the Company unless the Company fails to collect the Hire Goods within 3 working days from the end of the Hire Period whereupon the Supplier shall be liable for any loss, damage or theft thereafter. It is the responsibility of the hirer to ensure that users of the equipment exercise adequate care to avoid injury. The Company will not accept responsibility for injury caused through irresponsible behaviour. Furniture must be stored in the dry. The hire charge includes the cost of laundry. Linen in your care shall remain your responsibility at all times. Please ensure that linen is completely dry and free from all debris before it is packed away. Damp linen is very susceptible to mildew, which can ruin a cloth within a few hours. Where linen is returned badly mildewed, stained or damaged in any way, we shall have the right to charge you the replacement cost and to invoice you for this. You will be notified of any damage to the hired linen normally within 10 days from the date it was collected/returned to the Company. There will be no refund/credit given for any linen returned unused. Gas appliances should not be used below ground level and only used in a well ventilated area. – Emergency arrangements – Appliances must NOT be located to endanger emergency escape routes from the unit. – Do not store cylinders any closer than 2 metres from un-trapped drains, unsealed gullies or openings to cellars. This is because LPG is heavier than air and if a leak were to develop from the cylinder or its controls or pipework or when it is being filled then the vapour could accumulate in an un-trapped drain or gullies. Ignition of these vapours could then lead to fire/explosion. – Cylinders should also be sited out of directly sunlight and as far away as is possible from other heat sources. – No one should smoke, use electrical equipment, mobile phones or park vehicles near the cylinders. – The cylinders should be protected from unauthorised access to reduce the chance of intentional or accidental interference. If, for any reason, you wish to cancel your order you should phone us during Monday to Friday 9.00am – 5.00pm, quoting your order reference number/invoice number. This can be found on the top right hand corner on your order confirmation. All cancellations must be confirmed in writing and will only become effective on receipt of your cancellation letter. You will incur a cancellation charge the amount of which will be dependent upon the length of notice we receive from you. Please refer to cancellation s in section 1.11. Payment is due in ‘Advance of Delivery’ unless you have applied for a credit account. Payments can be made using the following debit cards (these do not incur a fee) Maestro, Visa, Visa Electron and the following credit cards Visa & Mastercard. All bookings made by credit card will be subject to an additional fee of 4% of the total hire. If the Customer fails to make any payment in full on the due date the Company may charge the Customer interest (both before and after judgment/decree) on the amount unpaid at the rate implied by law under the Late Payment of Commercial Debts (Interest) Act 1998 (where applicable) or at the rate of 8% above the base rate from time to time of the Supplier’s bank whichever is higher. We also reserve the right to add a one off small levy (5%) of the total hire cost for late payment. For your peace of mind we strongly recommend that a suitable insurance be taken out by yourself as all equipment is the responsibility of the hirer from acceptance until return or collection, including equipment left at other premises. You should therefore make every effort to ensure the equipment is kept dry and retained in a secure place until this time. No insurance is provided by the Company. 6.1. You shall indemnify and keep the Company indemnified against all actions, claims, losses, costs (including all legal costs actually incurred or otherwise), damages and expenses that are suffered or incurred by the Company whether or not reasonable or otherwise foreseeable or avoidable which arise directly or indirectly from any breach or alleged breach by you of any of these Terms and Conditions or your use of the Site or any Associated Site. These terms and conditions shall be deemed severable. The illegality, invalidity or unenforceability of any part of these terms and conditions will not affect the legality, validity or enforceability of the remainder. Failure by the Company to enforce these terms and conditions shall not be construed as a waiver of any of its rights under it. The Company shall not be responsible for any breach by it of these Terms and Conditions caused by circumstances beyond its reasonable control. We reserve the right to make changes to these terms and conditions at any time. Your use of the Site or any Associated Sites following such changes constitutes your acceptance of these changes. The company reserves the right to offer and withdraw promotions at any time. If a promotional item is not available every effort with me made to provide a substitute. All offers are subject to availability. Payments made to the Company are non transferable. The named client will be held liable for all costs of repair or replacement. In the event that any person present at the event damages any equipment provided or supplied by the Company at a function. The Company cannot be held liable in the unlikely event of any third party supplies or suppliers not arriving or supplying their products and/or service/s arranged by the Company on the client’s behalf which are not part of the Company. It is the named client’s responsibility to ensure that all monies are paid promptly and correctly to all their suppliers. While We select Our trading partners with care, the Company cannot be held liable for any loss or damage whatsoever which You may suffer as a result of Your decision to enter any dealings or transactions with, or supply personal information to, a trading partner or any third party. Please ensure you are aware of whom You are contracting with and the relevant terms and conditions prior to entering into any contract even if arranged on your behalf by the Company. The Company is not responsible for, and makes no warranties or representations regarding the goods or services provided by the various wedding vendors listed or advertising on this site, nor does the Company specifically endorse or recommend any of these vendors. You understand that The Company, services are provided “AS-IS” and on a “Best Effort” basis. The Company is not responsible for loss of data, non deliveries, miss deliveries, or service interruptions. Although we do all possible checks to recommend professional and good suppliers, we are unable to give any guarantee as to the quality or suitability of third party service providers or their goods or Planning. Therefore in the unlikely event that a supplier does not meet your expectations, we cannot be held responsible for all third party supplier services. Therefore no liability shall attach to us in respect of any claims arising out of any cancellation of such Planning. Subject to the provisions of the Proposal Document the Company can, on your behalf, negotiate contracts with third party suppliers for your wedding day and will take reasonable care in the selection of and negotiation with such third parties. All contracts negotiated in this way will be entered into between you and the individual third party suppliers. This ensures you have a direct contractual relationship with all of your wedding suppliers. It is your responsibility, not that of the Company, to ensure that you are aware of, and comply with, all the Terms & Conditions of individual third party suppliers. (Full details of third party suppliers shall be provided including a breakdown of what services are provided by them on your contract). The Company will not be liable for any non-observance by you of any third party supplier contract terms. Third party contracts, and the performance of these suppliers, are beyond the control of the Company that may arise and we do not accept any liability for the unsatisfactory performance of a third party supplier. The Company does not normally purchase goods or services on your behalf unless specifically requested by yourself. If however we do make purchases on your behalf your contract still remains with the supplier who will provide you a copy of the agreement via the contact details you provide. Any liability shall be held between you and the third party and the Company cannot be held liable for any errors by the third party. If such an arrangement is made we shall make payment on your behalf to the third party and may include an additional fee. If a payment is made on your behalf to the supplier it is your responsibility to be aware of their terms and conditions and any complaints should be made to the supplier directly as they shall send you the original contract. The Company will therefore have absolutely no further involvement in such contracts nor can they be held liable for any issues or non delivery of services arranged. The Company total liability in contract, tort (including negligence or breach of statutory duty), misrepresentation, restitution or otherwise arising in connection with the performance or contemplated performance of this agreement shall (unless you take advantage of the offer to endeavour to arrange insurance in paragraph 17 of this clause be limited to the price paid for the Wedding Planning Fee. 9.1. This agreement and any dispute or claim arising out of or in connection with it or its subject matter, shall be exclusively governed by, and construed in accordance with, the law of England and Wales. iii) You will not, without the prior written consent of the Company, assign, transfer, subcontract, declare a trust of or deal in any manner with all or any of its rights or obligations under the Agreement. iv) I may at any time assign, transfer, or subcontract, all or any of the rights of the Company under this Agreement and may subcontract or delegate in any manner any or all of the obligations of the Wedding Planner to you to any third party or agent.